For John Miller, his proclaimed faith and profession in law collide when he serves his church, Platte Woods UMC, and volunteers with Communities Creating Opportunity. 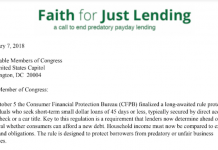 Miller finds purpose in diligently fighting predatory lending or payday lending. 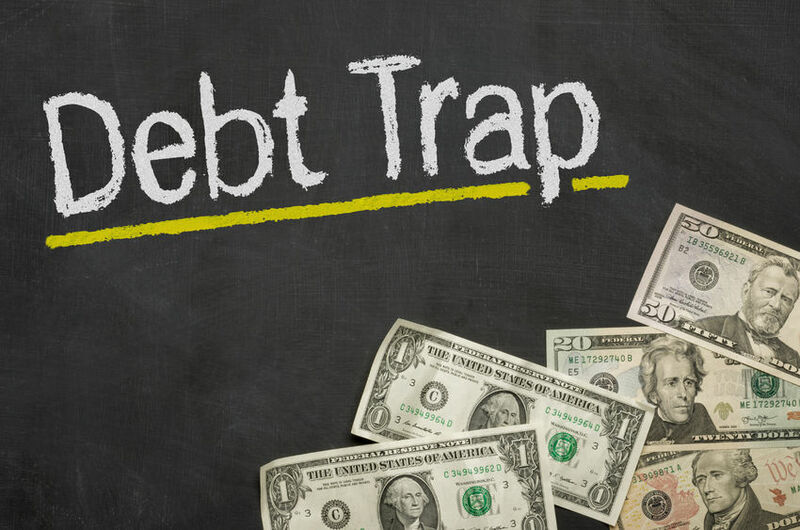 Several years ago, he had a friend who took his own life after finding himself in the debt spiral. 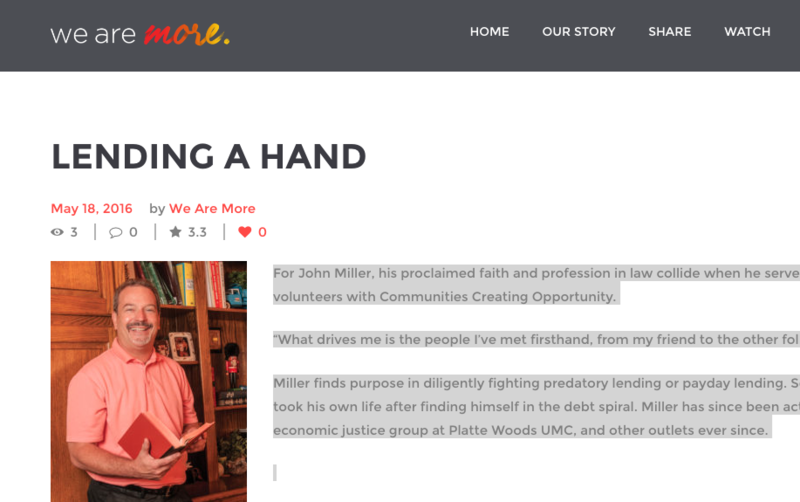 Miller has since been active with CCO, the social justice and economic justice group at Platte Woods UMC, and other outlets ever since. 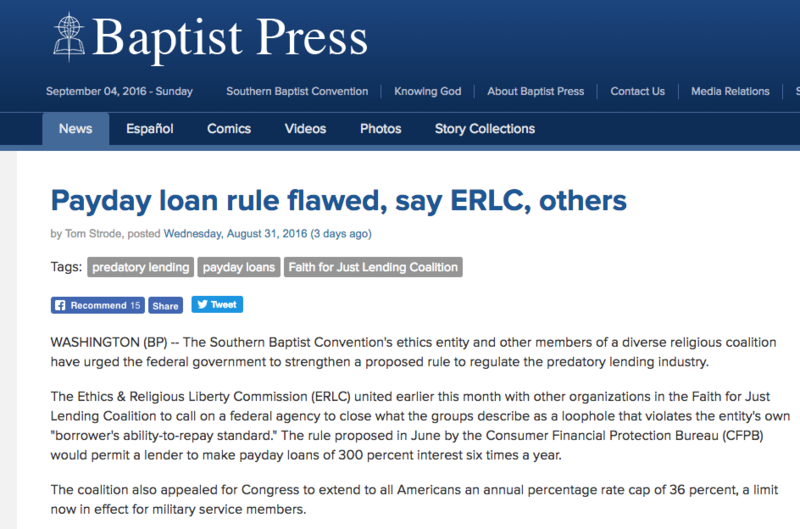 Read the full story here at We Are More.